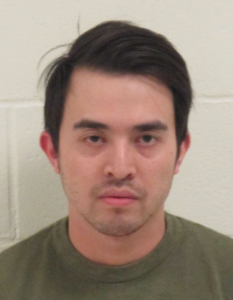 Thanh Nguyen was taken into custody after crashing his car in Arundel early Sunday. A South Portland man faces multiple charges after police said he was driving under the influence when he crashed his car in an apparent attempt to flee from a deputy. A York County sheriff’s deputy tried to stop a 2013 Lexus that police said was going 75 mph in a 50 mph zone near the Trout Brook intersection on Alfred Road in Arundel around 1:30 a.m. Sunday. After the deputy activated the blue lights on his cruiser, the Lexus accelerated to more than 100 mph in an apparent attempt to elude the officer, Sheriff William King said. After about a mile, the driver of the car, 27-year-old Thanh Nguyen of South Portland, lost control as he tried to turn onto Goodwins Mills Road and crashed into a ditch. Nguyen was arrested on charges of criminal speeding, driving to endanger and operating under the influence after refusing to take a breath test.